So yes… two cats means two cat beds. And never one to repeat myself (I got bored on the second sock of my first pair of socks!) 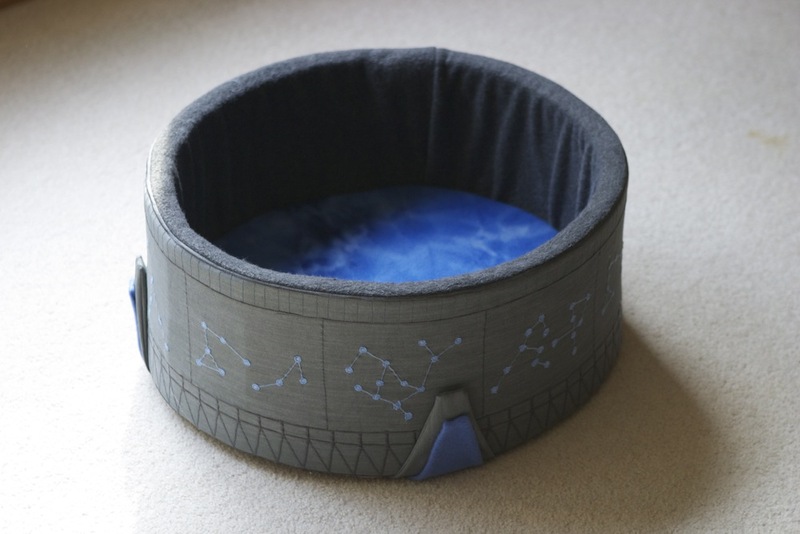 I decided to up the ante with an Atlantis version of the StarGate Cat bed. 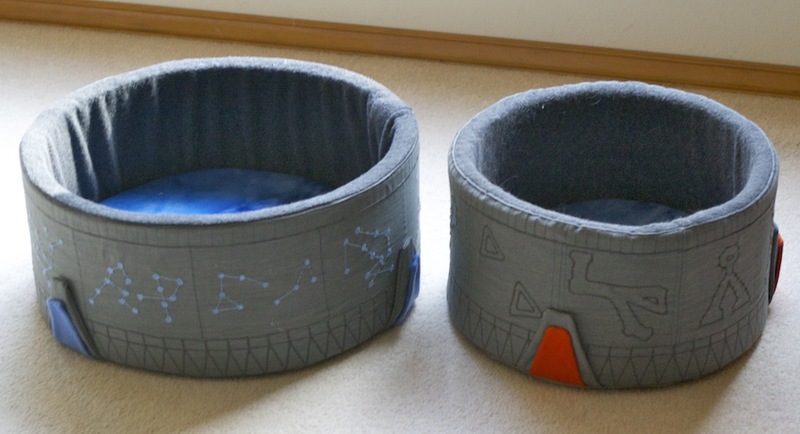 Cats are so smart they can use both Milky Way and Pegasus Galaxy design gates to access the Caterverse! While I got through the repetitive main gate stitching a bit faster, when it came to the glyphs… the stars were about seven levels of more painful. I ended up hand stitching the majority of those tiny blue dots. For reference, they were created using a paperhole punch and there are 114 of those things. Gates to the Caterverse have been tested at various stages of construction. Conan is testing the Pegasus gate pre-chevrons. This gate is a bit bigger than my original gate. It has a total of 10 symbols. Otherwise basic construction was the same. SGC (StarGate Cat) technology is adaptable to multiple universe gates. I am providing my instructions with patterns on how to make your own gate. These are freely available for private use only. If you use these directions, I’d love a photo!